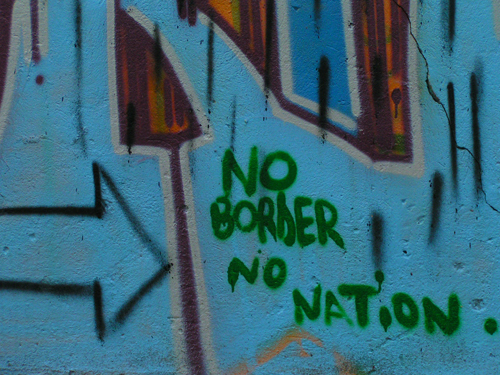 If you would like to know more before coming to a No Borders South Wales meeting, please e-mail us – best addresses to email are cardiffsolidarity[@]riseup[. ]net or antiraidscardiff[@]riseup[.]net. We aim to meet every Tuesday at 7pm at the Red Sea Café, 49-50 Clifton Street. Meetings are open to anyone who likes what we’re about and wants to attend. Discrimination is not welcome. Unless there are urgent matters to discuss, most meetings do not run much longer than about one hour. Minutes are posted to our internal email list for members of the group who are unable to attend every meeting. Any urgent or important information is also posted on our public discussion list, which is open for everyone to join. Im so delighted in your activities and your share value about labour migration without restrictions. I will like to join this volunteer group and hook up with you possibly in the next meeting. Hi Femi, thanks for you comment. Please come along to a meeting, you would be most welcome. If you need any more information please e-mail noborderswales@riseup.net. can u send your contact details and where are the exacliy place meet you or take your membership.